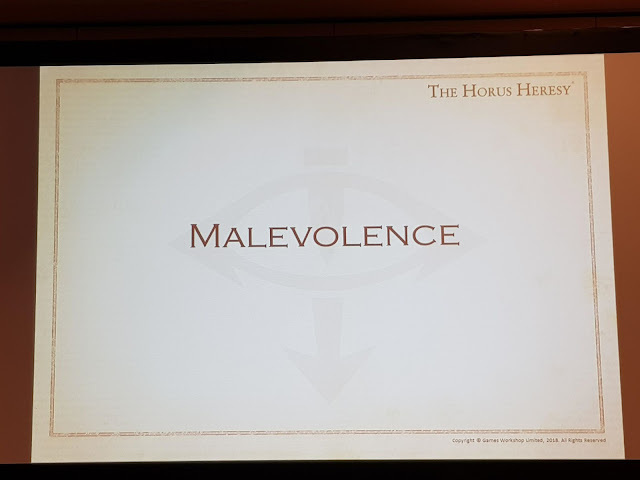 Infos from the Malevolence Seminar - it's all about daemons, Blood Angels, White Scars, Space Wolves and Alpha Legion. 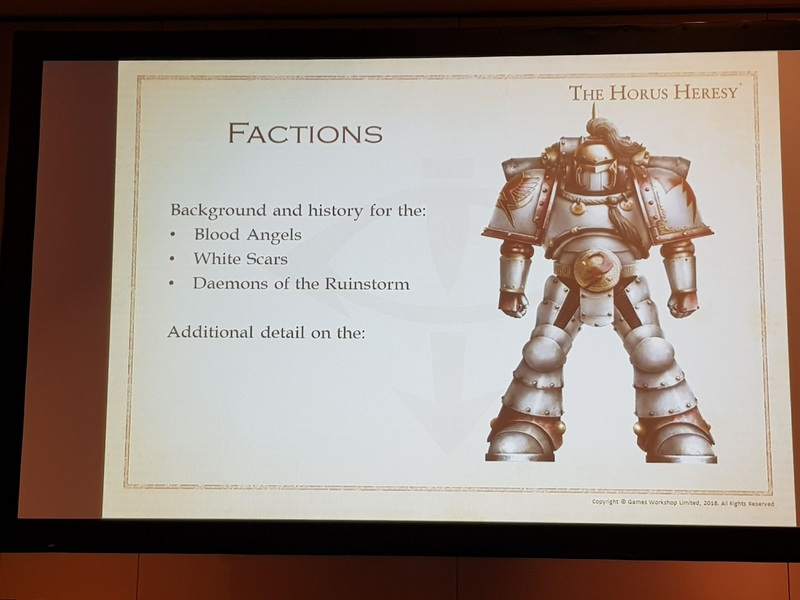 New Daemon kits coming to combat Legions. Variations and upgrades. They are still working on the rules, and are looking at militia style rule builds. 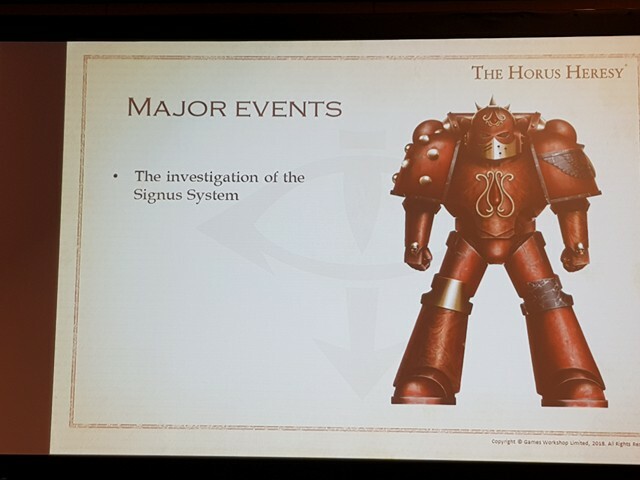 Signis Prime will be based around the Signis system and combating Daemons. Chondax will be based around Alpha Legion trying to stall the White Scars leaving their Chondax Crusade. Rules for Jaghatti and Sanguinius! Book will be hopefully out this year. Vlka Fenryka are in attendance and it is to do with the Alpha Legion chasing the Rout into the Alaxxes Nebula. Possibly Lord Gunn (oh throne yes!!!!!) will get a character. There will be a new Destroyer unit for the Blood Angels - they wear silver death masks! Destroyer units will get updated in time. Possibly after they release the Dark Angels in the next Red Book Army Book (where they will be adressing unit options too!). Sanguinius: will be one of the better melee Primarchs. Raldoron will get rules (almost certainly) in this book. 1 Primarch and 2 Characters for White Scars and Blood Angels. Possibly Amit might be with the Fleshtearers faction at a later date. But he is still in the runnings. Dark Angels hopefully in a book 2019, with the updated red books 2020 (this is a best guessed time line). White Scars. The previous rules might be updated slightly (from feedback from the community). Khan will possibly have the option for jet bike, including model option. Yesugai might not get rules in this book for pretty much the same way as Amit above, he might not be so central to the story they are telling at the moment. But the White Scars First Captain could get featured! 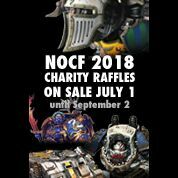 Book 9 Dark Angels and Night Lords, Dark Mechanicum and the Sarum Campaign too. This is subject to change though. 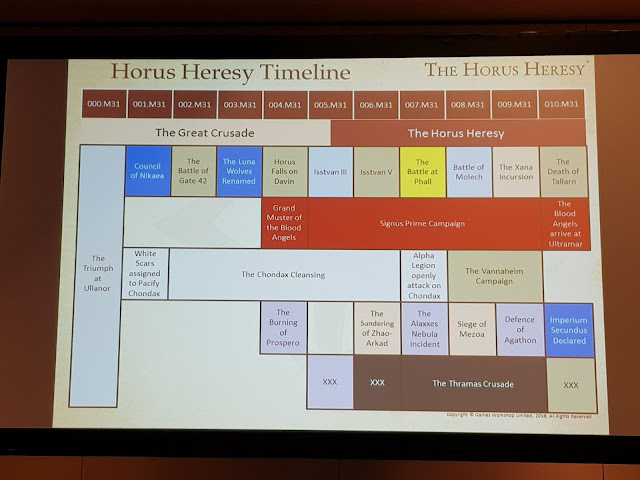 Basically, they have split Angelus in two and added White Scars. Existing named Daemons will be present, the big ones from Signis may get special rules, but it is likely that you can make your own Greater Daemon with options/structure akin to Militia to build him. So Angelus has been ditched? Hopefully not. As a night Lord player I'm still holding out for Atramentar rules. Maybe Angelus is either going to be released soon, or is being held back for a bit. Angelus has been renamed to Malevolence. Sorry. It looks like the Dark Angels will not be in this book. I will get some answers shortly. I just made a heart attack. 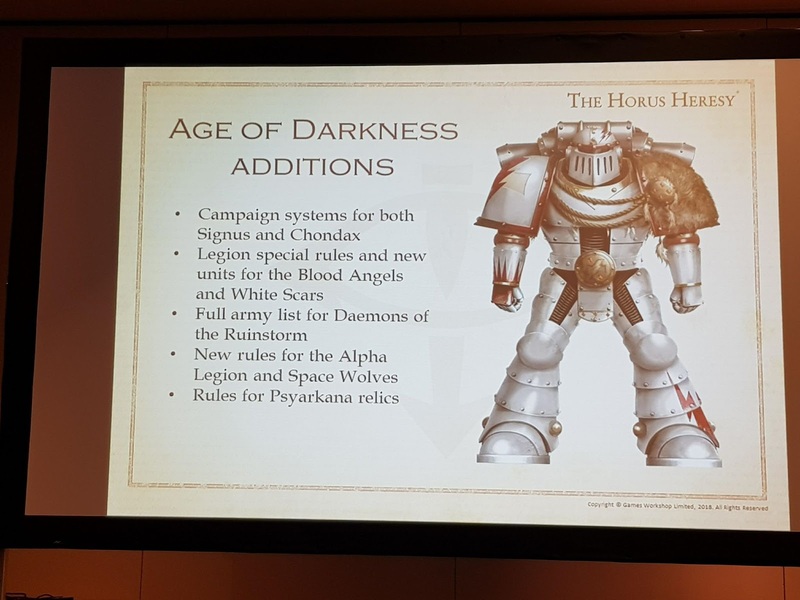 So jsut to clarify and prpare for thesecond one to come : we do not have the Dark Angels next. The First will be the Last ? Nope. Looks like they are not in this book now. I will get some answers for the DA and when to expect them. 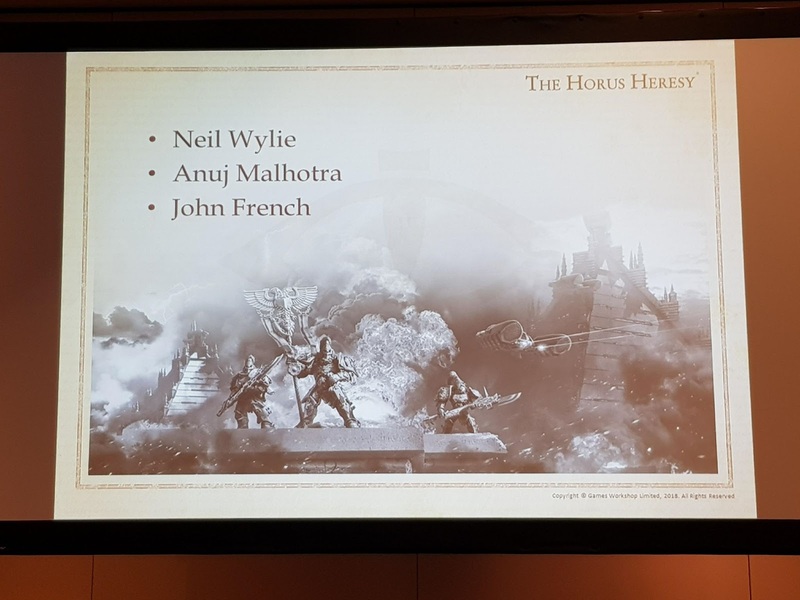 Think we’ll finally get Tzeentch and Slaanesh Daemon Princes like Samus and Corbax? Dark Angels shafted yet again. Guess they're saving the best for last, and loyalty is its own reward. Do we get FW Primarchs? So we have to wait for an update to the red books apps til 2020!? What’s the point of the app if we have to wait 4 years for it to be updated? It still doesn’t have the new ROW for the legions from book 6 and the points adjustments for certain units. Will they at least update the app so it includes these changes and additions? Were there any whisperings of an FAQ for inferno. My regular Custodes opponent says my Thousand Sons are overpowered. Hi Cheese9876. They are looking at balancing it out again in the not too near future with an errata or FAQ. But it will be addressed. Welp, dark angels can't have nice things. Tell me what else is new. 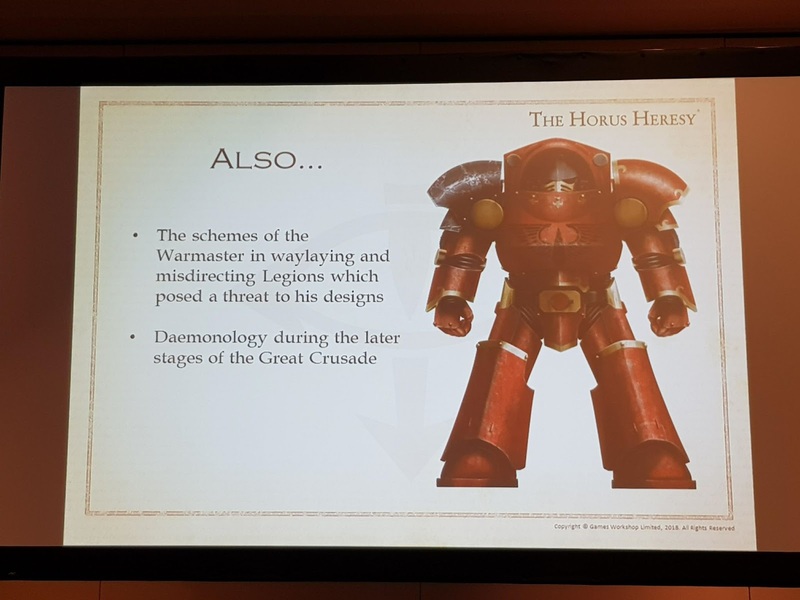 A question about the Daemon upgrades you mention- did they elaborate on this at all, like what kits this would be for or the time frame?